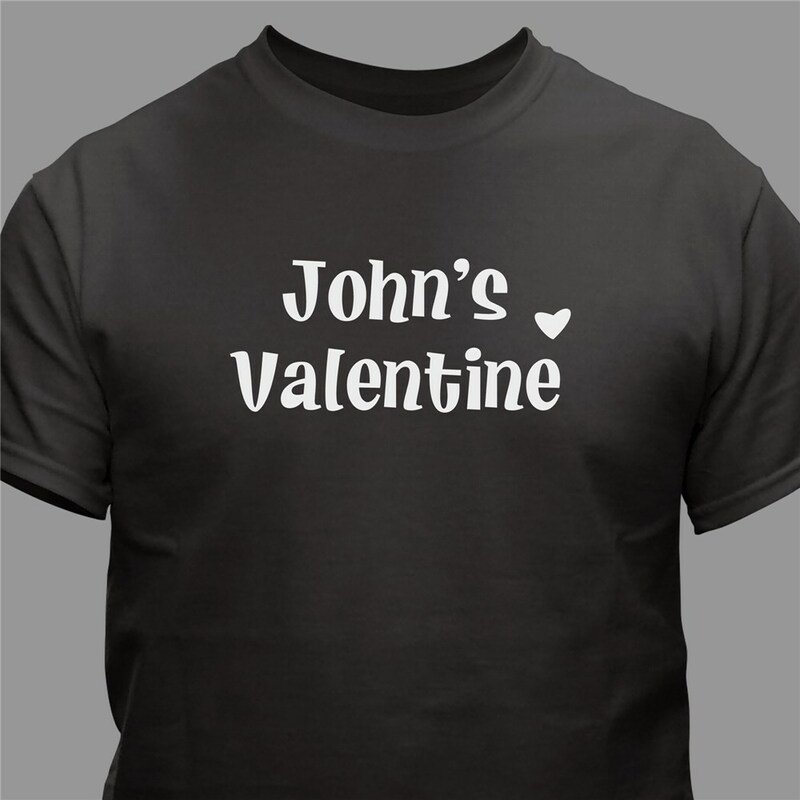 Claim you gal or guy on Valentine's Day and let everyone know who they belong to with our Valentine Personalized T-shirts. 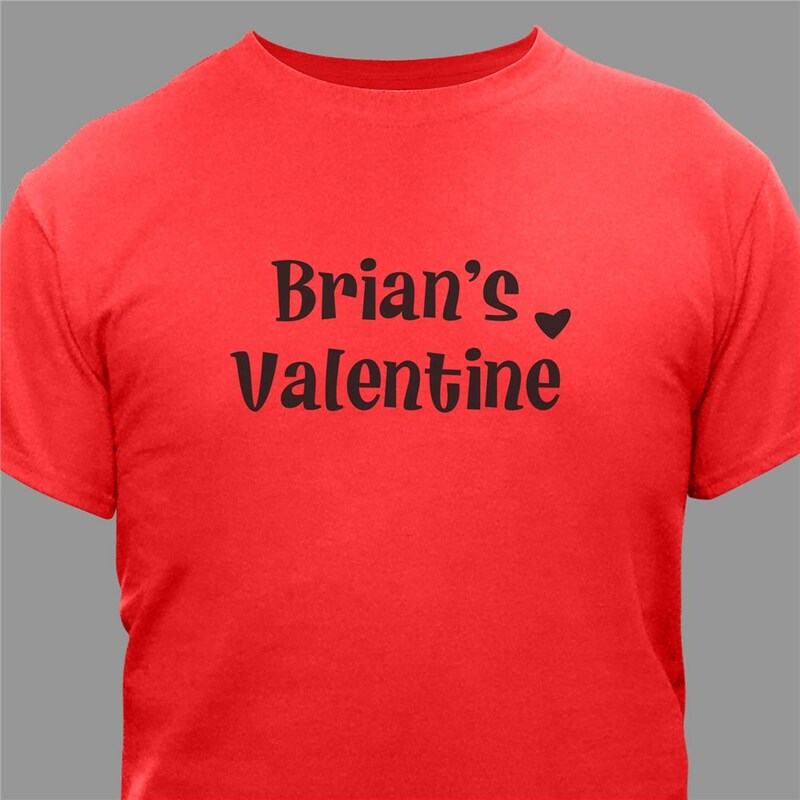 Our Valentine Personalized Shirt is available on our premium 100% cotton t-shirts, machine washable in adult sizes S-3XL. 4XL is available in white only. Please note: dark colored shirts will be printed in white text and light colored shirts will be printed in black text. Free personalization of any name is included. Loved it. It was a perfect gift and came in plenty of time! Valentine's Day is February 14th. Make sure you get a personalized Valentine's Day gift for your Girlfriend, wife, Boyfriend, Husband or special someone today. Choose from many great personalized gifts like our Message in a bottle, Chocolate body paint, personalized heart shaped puzzle & many wonderful personalized Valentine's day Keepsakes.